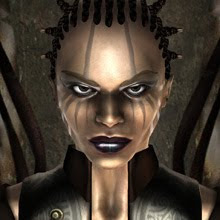 A loyal servant and elite slave of Mr NOXx, she was found within a badly damaged Amarr Sigil shortly after Mr NOXx and his mentor; EiD escaped the mighty Amarr Navy. The Sigil had succumbed to an attack from Minmatar rebels and the ship was disabled and routed for its precious metals and armour. Miss NEXUS hid from the invaders as she firmly believed the mantra for which the Amarr Empire operated. She had been the slave of a wealthy trader on Tash-Murkon Prime and had received exceptional treatment and liberties. Miss NEXUS is a well accomplished pilot, her implants granted to her to achieve immortality as Mr NOXx couldn’t face her untimely demise. Her friendship with Mr NOXx has blossomed over time and they support and care for one another very deeply. Outwardly Mr NOXx will scold Miss NEXUS at every opportunity, but this hides his true feelings for which they share together in privacy. One girl, in a trillion souls; she is Mr NOXx’s conscience and his restraint. The test server Singularity is open to all players and will login even if your account has been suspended on tranquility, so long as your account was active at the time of the mirror of Tranquility. Singularities purpose is to try out new features, and as a result it will generally be a few patches ahead of the Tranquility server. Character information is replicated to the Singularity servers on a regular basis, but keep in mind that if your account got created after the last replication, you will not be able to access the server. Gameplay mechanics and playing environments may be quite different from what you're used to on Tranquility. Here, the world is constantly changing. Please note that GM support is not available on the test server nor with problems you may encounter accessing it. Enter at your own risk! Create a separate folder for your test client ( i.e "C:\evetest"). 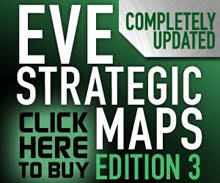 Copy everything from your original EVE folder (by default locate at "C:\Program. Files\CCP" ) to the new ("C:\evetest"). This step is important, since patching the test client will render it incompatible with the Tranquility server. 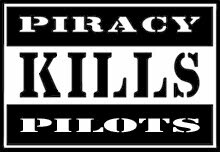 Go to this webpage to download patches for Singularity. Download the "Download TQ to Singularity Patch" or the Multiplicity one if you are going to test on that server. Apply the patch to the correct EVE installation such as "C:\evetest". You will be promted to point to the appropriate installation folder. Create a shortcut for the new eve.exe file inside C:\evetest. Right click on the shortcut and select properties, then select the Shortcut tab. The final look of the Target line would look something like this ( Different between client locations). Then double click on the shortcut and log in. 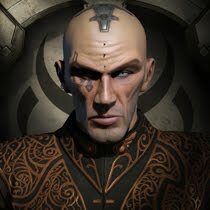 Download the Tranquility client: http://www.eve-online.com/download/(If you have already installed the EVE Client, skip to step 3). 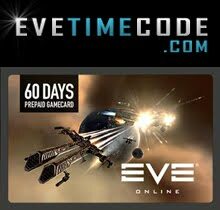 Rename your install to "EVE Online TQ" or something of your choice. Rename that to "EVE Online Singularity" or something of your choice. Download the latest Tranquility to Singularity patch. Execute it and point it to the install called "EVE Online Singularity." 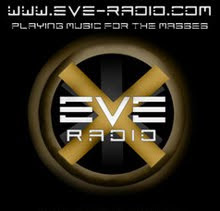 Note that the client you just patch changed name to "EVE Online" again. 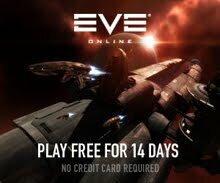 So, rename it to "EVE Online Singularity" again. Install the EVE client using the Cedega installer ( if you've done this already you can of course skip this step). 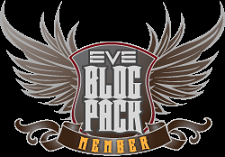 "Path" = "/home/[your username]/.cedega/EVE Online/c_drive"
"Path" = "/home/[your username]/.cedegaSISI/EVE Online/c_drive"
Install the patch by starting the new eve sisi config launcher. There click on the "install game patch" button select the patch. 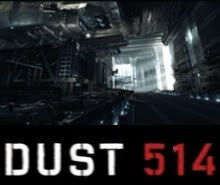 navigate to c:/program files/ccp/eve and install the patch. It should now look like this: "commandlineargs=/server:87.237.38.50"
To start the game double click on the EVE SISI Client launcher you created. If you receive the following error "There was an unexpected error while retrieving patch status. The patchsystem was not able to locate a patch file for the current version. Please try again." you will need to download the proper patch found here. When you install the patch, make sure you update the new client ("c:\evetest"), not the original you use to play on Tranquility. After the patch is installed you should be able to log on to the test server. Please take the time to bug report as much as you can. Your feedback is also very important for what features are developed or changed, so don't hesitate to post your thoughts on the Game Development Forum. Please read the test server rules before logging in. They may be found here. Useful general information is available here.